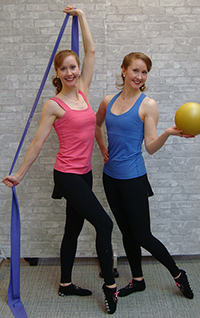 Our 11 foot band can be used in a variety of ways, including LOTS of standing exercises and full body applications. The medium resistance band feels GREAT on your feet too! For lots of workouts with the long stretch band, visit www.pilatesonfifthonline.com.